Do you package your handmade cream in a jar? Do you have the product name, volume and your business’ name and address clearly printed on each label? If not, you may be in violation of packaging and labelling laws. Just because you’re a small business, doesn’t mean you’re exempt from these laws. I cover packaging laws for US & CANADA in this article. Although the laws are similar for United Kingdom and Australia, they do vary slightly from country to country so please check your local government’s website. This is in place to ensure that prepackaged consumer products are labeled with proper information so that consumers can make informed purchasing decisions. The guide applies to prepackaged non-food consumer products. Prepackaged refers to items like handmade creams, scrubs, cards, candles etc. that may be packaged in a container or box of some sort. Information on exemptions are listed here and here. There are some products that are exempt from the labeling act which you can view here and here. The details for each point are explained below, for both US and CANADA. You must clearly identify the contents of the package. The product identity must appear on the principle display panel and in a type size and position that can be easily read. You must use the common/usual/generic name (e.g. must list “bath salts” as the product identity and can’t simply label the contents “unicorn dust”). You cannot be misleading/false/deceptive with your product identity; do not mention any products or ingredients that are not contained in the package. The Product Identity must appear in both English and French, expect for a few specific cases, which are listed below. Being a “Local Product” is one of the exceptions, which is when your product is made and sold in a city/town where less than 10% of the population speaks one of the languages. End of the day, if you’re having labels printed, it may be safest to get them printed with both English and French. If you’re only selling your products within your city (which speaks English) but a store from French speaking city contacts you and wants to carry your line, you don’t want to have to rip all your labels off or have new ones printed. This information must appear on the Principle Display Panel, which is the portion of the package that is normally displayed to the customer (i.e. the front of a box). For containers that don’t have a particular side or surface, the principle display surface is any 40% of the total surface area of the container (excluding the top and bottom) that is visible to the consumer. Where the container of a prepackaged product is an ornamental container, all of the label of the prepackaged product may be applied to the bottom of the container or to a tag that is attached to the container. *An ornamental container is consider one that may have dual purpose of not only holding the product but being used as a decorative ornament as well. For example; if the container has a raised design, texture or shape that doesn’t allow a label to be placed on it, a label may be applied to the bottom of the container or you may use a tag to attach a label. The text must be legible and the type height must be a minimum of 1.6 mm. A little more info on that here. Product net quantity refers to the amount of product that is contained in prepackaged products. You must state the net quantity of the ingredients separately and accurately on the principle display panel . You must keep the net quantity information separate from other printed information on your label and it must use accurate terms (e.g. must use 500ml and not “jumbo size”). It must appear in the bottom 30% of the principle display panel and parallel to the base of the package. *It gets really specific when it comes to spacing, sizing and placement of net quantity, please read more details under 500.6 (b). Product Net Quantity must be displayed in the proper choice of measurement, based on your product. For example, you can’t display your Net Quantity by count (i.e. 1 Face Wash) when your face wash is liquid; it needs to be measured by volume (i.e 100ml). the quantity is measured by count (i.e. 1 candle), the count is 1 and your Product Identity reads singular. For example, if your sticker reads “Scented Candle” and you sell them individually, you do not need to include the Net Quantity on the label. If your label reads “Scented Candles” and you have 6 candles in a package the consumer cannot see inside of, you need to state that there are 6 candles in the package. The product is sold by count (i.e. 1 candle) and customers are able to see the contents of the package and there are less than 13 items in the package which can be easily counted. For example, if you sell 6 candles in a set and you’re using a box with a clear lid; the customer can easily see there are 6 candles in the package. The Net Quantity must also appear in English and French, using a valid metric word or symbol for the unit of measurement your are using and the amount must be rounded off correctly to the required degree of precision. Yes, it’s that specific. Please follow the guidelines here for the correct metric words and symbols for units of measurement and here for the degrees of precision. This information must appear on the Principle Display Panel. The quantity must be clear, in bold face type and meet the height requirements; which is dependent on the Principle Display Surface (i.e. the larger the label, the larger the Net Quantity type height must be). Please visit this section for details on that. The name of your business and address must be indicated on your label. Yes, even if you work out of your home. The address on your label must be sufficient to ensure postal delivery. A label must specify the name and place of business of the manufacture, packager or distributor. Please see point (a) under section 500.5 here if you do not manufacture the products you sell. If you manufacture, package or distribute the product in a place other than your principle place of business, you may state your principle place of business in lieu of the place you manufacture, package or distribute from; as long as it’s not misleading. The Dealer Identification may be in English OR French and must be clearly legible and the font must be at least 1.6 mm in height. If you’re putting the label “Product of Canada” or “Made in Canada” claims on your labels, they are subject to specific assessment criteria. If you’re placing “Made in the USA” on your product labels, you must follow their Enforcement Policy Statement on U.S. Origin Claims. As mentioned earlier, the Competition Bureau of Canada responds to complaints so they’re not checking every business for proper labeling practices. That being said, you are liable if someone complains and you are in fact in violation. Not following the sections and regulations of the act can result in a fine, anywhere from $1000 – $10,000 and even imprisonment, depending on the offence. Pretty important to be sure you have all your ducks in a row! WOW…. this is incredible. Can you imagine the number of people out there who relax with knitting and crochet and make so much they start selling it… across the nation? Then there are the jam makers… and so on… if I knew their emails I’d send your page to them. I am flabbergasted myself and will do my best to follow the rules of course. Sincere thanks for waking us all out of our lethargy. I surmise that 9 out of 10 people think if they make money “online”, it doesn’t count as income; its “free” money! The naked truth is going to hurt badly. Are there similar laws in the US? There are very similar laws for US. I’ve updated the article with links to US rules. They’re similar to Canada’s laws but some details vary slightly. 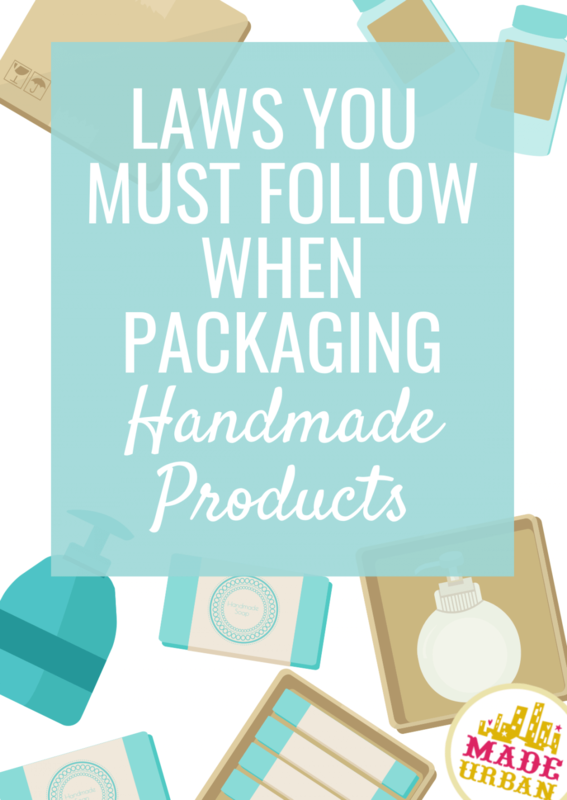 The laws that you have discussed above about packaging, every seller must follow those rules and laws. Thanks for such a great guidance.